Since Texas Highways magazine’s founding in 1974, our wildflower issue has reigned as a perennial favorite. 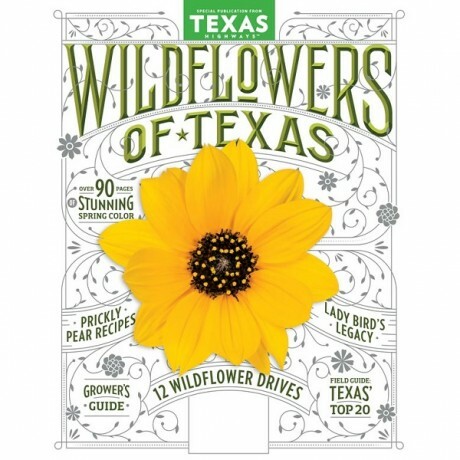 This special publication features everything you need to know about Texas Wildflowers, including: 12 Scenic Drives, the Texas Top 20 Wildflower Field Guide, 5 Wildflower-Themed Lodgings, a Grower’s Guide, Prickly Pear Recipes, Expert Q&As;, and much more! 100 pages.